I was in receipt of the citizen’s register from Landsberg an der Warthe this week. It’s a very small document in comparison to most records, but it contains hundreds of entries with birth dates and civil information such as birth dates, professions, and places of origin. While the register was completed in 1822, it contains information about people who were born in the middle of the 1700s and is quite an important source as the church books for the region have not yet been digitized due to their voluminous lengths. To stay in compliance with legal and archival restrictions, you will need to register for access to assure that documents are being utilized only for personal, non-commercial research. We apologize for the inconvenience. For all intensive purposes, these records should be considered personally held, but digitally shared with other researcher friends to assist with their genealogy work. For more information, click here. 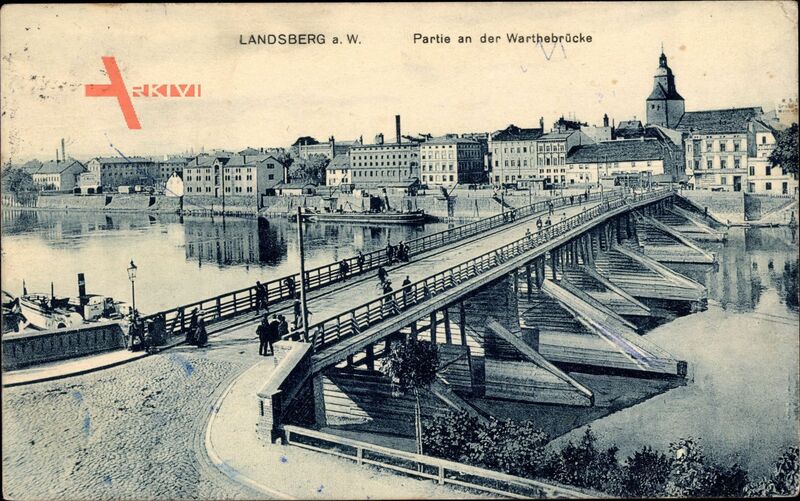 For those of who don’t know, Landsberg was a city in the Neumark province of Brandenburg prior to the expulsion, also sometimes referred to as Ostbrandenburg. It was a military city with a very large population. Today, it is known as Gorzów Wielkopolski in Poland. I’d like to thank Stefan Rückling for his help in photographing this document, and I would highly recommend using his genealogy services for archival research. It was an exceptional experience, and I would consider using him for future research projects as his rates were affordable and the quality and timeliness of delivery were outstanding. Editor’s note: out of respect for the archival institutions and their usage restrictions, these files for personal, non-commercial use require users to register before gaining access. To register, please click here. Using an Gmail account or an email linked to Google is recommended.